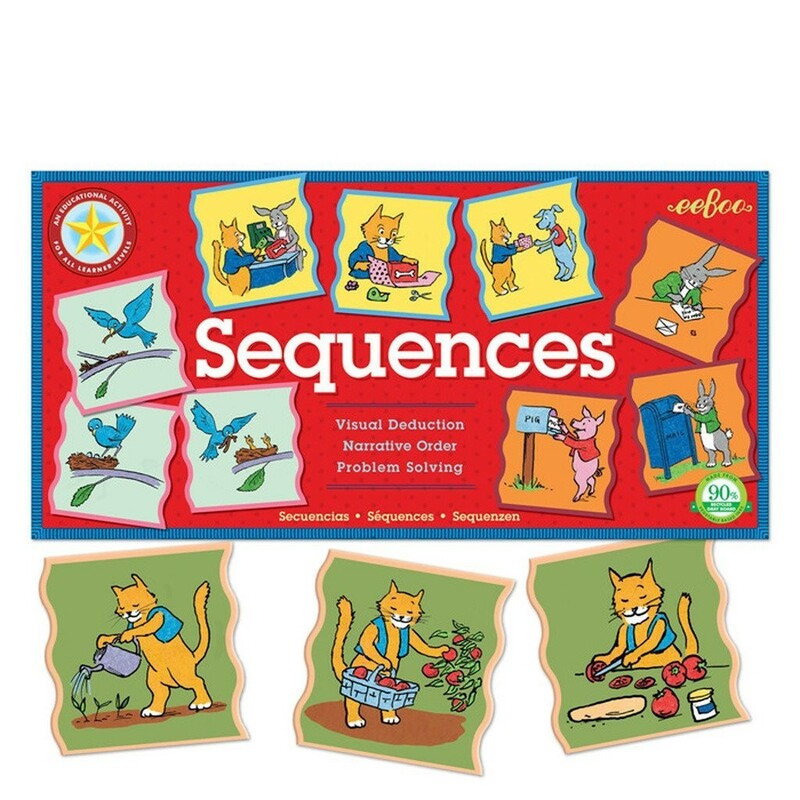 This eeBoo's sequencing activity set of 48 beautifully illustrated tiles brings a perfect educational tool to promote language skills as well as the critical reasoning for children. 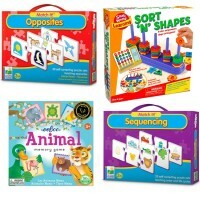 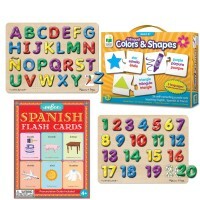 All in Order Sequencing Puzzle Cards Set by eeBoo brings a perfect educational tool to promote language skills as well as the critical reasoning for children of all ages and learning abilities. 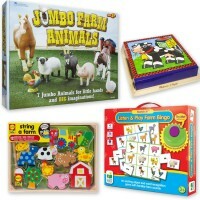 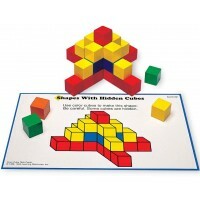 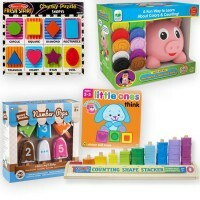 Each 3 pc puzzle from this activity set features some life activity in sequence of action. 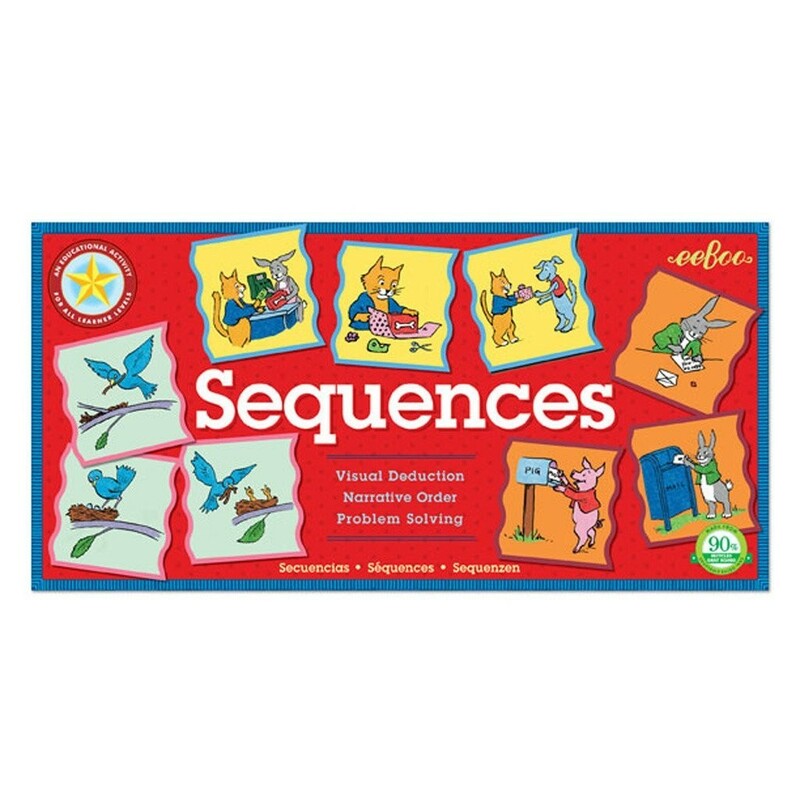 Children should find the right sequence cards and assemble the sequencing puzzle. Beautifully illustrated by Saxton Freymann, the friendly animals shown on the cards will help to recognize what happened first. 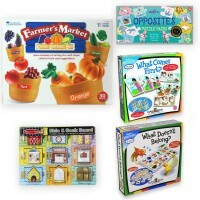 This preschool activity set from Educational Toys Planet enhances storytelling, understanding of cause & effect, helps kids to make connections with their life experience, and adds confidence in life skills. 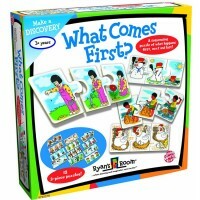 The sequencing game includes 48 colorful tiles to combine 16 sequence stories. 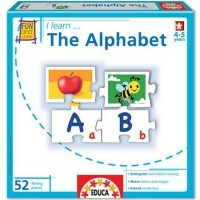 Thoughtfully made of 90% recycled gray board and printed with vegetable based inks, this award winning puzzle game is also a terrific learning source for language arts class, or home school. 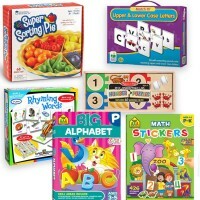 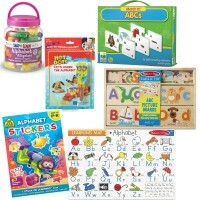 Dimensions of package 0.13" x 0.065" x 0.012"
Write your own review of All in Order Sequencing Puzzle Cards Set.